NEW!! We have an upgrade egress window retainer!!! We install Skapewell systems, you will be truly satisfied with the quality and beauty that these windows and wells provide. Your basement will be filled with natural light and will blend with your interior decor. 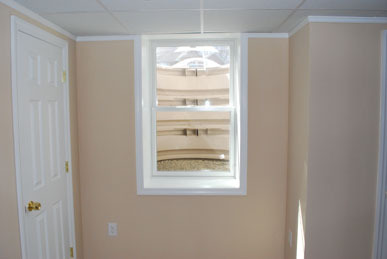 *If you add a bedroom in a basement, an egress window must be installed in that bedroom in any state. *If you create a habitable space in your basement and you currently do not have an egress window, one must be included with the installation of the habitable room in PA and DE. 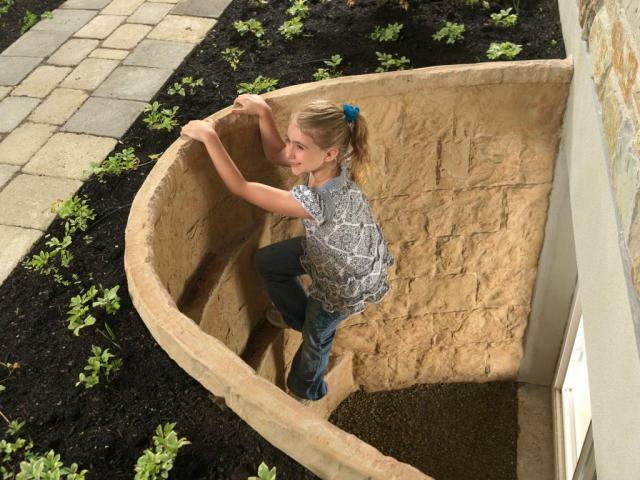 Child Friendly- The optional cover is also light enough for a child to escape easily. Maintenance Free- Skapewell egress windows are made from polyethylene with UV inhibitors. This durable material gives them superior weathering capabilities and no maintenance once we install them. There is no chance of rust or rot and they are warranted against decay. Safety- Fire can spread rapidly through a home, leaving as little as two minutes to escape safely. In the event of a fire or emergency, family members have the ability to escape out of the basement quickly through Skapewell egress windows systems installed by 1 Creation Construction. If you are considering renovating your basement, you will likely find that your town requires the installation of egress windows. Most building codes mandate that egress windows be installed in order to provide an adequate escape route in an emergency situation, such as a fire. Besides adding safety and increasing your home’s value, egress windows can greatly increase airflow and light, changing what was once a dark basement into a light, airy living space. 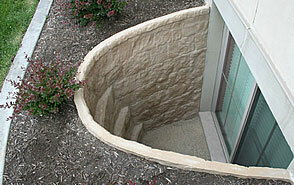 Egress windows are designed to allow people to escape a basement in the event of a fire. 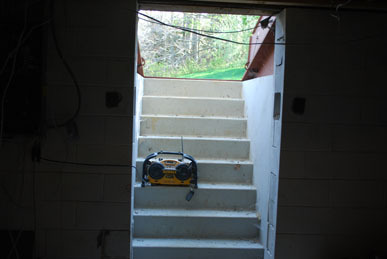 Most often, egress windows are installed during a basement renovation in order to comply with local building codes. Many towns have specific measurements that must be met, so it will be necessary to contact your local building-codes office in order to find out exactly what size window you must install in your basement. Egress windows come in as many varieties as typical windows, with as many different levels of quality and insulation, depending on the manufacturer. But all egress windows are designed to provide a safe escape route in the event of emergency. Most often, they provide about 6 square feet of roughly rectangular window surface. Check with the manufacturer if there is any question of whether a particular window is suitable to be used as an egress window. By far the easiest way to have an egress window installed is to use a professional contractor. Because your local contractor will be familiar with your area’s building codes, hiring one can save you a lot of time and effort. Of course, this option can be expensive. Depending on your situation, it can be as much as several thousand dollars to have an egress window properly installed. But because a contractor already owns all the necessary tools, a do-it-yourself approach could turn out to be expensive as well. Egress windows are a worthwhile investment of time and money because they add value to a home. Many basements are dark and dank, a problem that an egress window can eliminate by providing more light and an increased airflow. Aesthetically, they can drastically change the look and feel of a basement. Of course, the primary purpose of an egress window is to provide a safe escape route, so the peace of mind gained from knowing that your loved ones are safe is reason enough to install egress windows. Now features high-density polyethylene inserts-the same maintenance-free material as the wells-which add strength and rigidity to withstand adverse freeze/thaw and settling conditions while simplifying the backfilling process. Optional Cover Available for $250 installed.